Gift Certificates | Armed Missouri, Inc. Please use the form below to request a gift certificate. Armed Missouri gift certificates are available for purchase in any amount in $5.00 increments or for the exact dollar amount of any pre-scheduled class. After you submit your request, we will send a PayPal invoice to the email listed on the form. Once the invoice has been paid, we will email a gift certificate with the recipient’s name on it in PDF format to the email listed on the form. Gift certificates may be used on any pre-scheduled course or any private course that doesn’t exceed the value of the certificate or as a partial payment for a course that exceeds the value of the certificate. 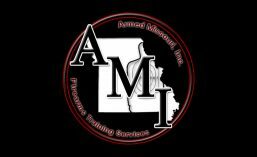 Gift certificates are not valid for use as a payment for any special course offering hosted by Armed Missouri, Inc. Gift certificates may only be transferred to another person with the consent of Armed Missouri, Inc. Gift certificates will expire and not be redeemable or transferable eighteen months from the date of issue. A 10% fee will be charged for any refunds on this certificate.